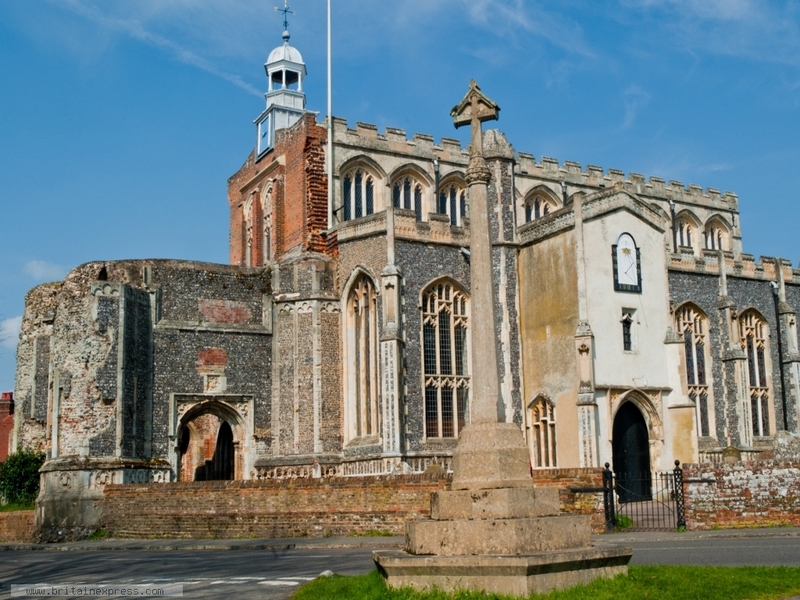 The parish church of St Mary at East Bergholt, Suffolk, is a fascinating building. The most famous feature is a detached wooden bellcage in the churchyard which houses the church bells. The story goes that Cardinal Wolsey was financing the rebuilding of the tower in 1530 when his downfall from power led to the work being suspended. The tower was never completed and the bells needed a new home, so this unique structure was built. A short walk down the hill brings you to the National Trust property of Flatford Mill, made famous in paintings by John Constable, who lived in East Bergholt as a child.